Having just wrapped up the eighth season of Doctor Who, fans have had a full year as Peter Capaldi as the new face of the Doctor. However, ask any "whovian", and they will tell you that the transition from Matt Smith as the 11th Doctor to Peter Capaldi as the 12th at the end of the previous season was heartbreaking-albeit a bit dragged on with a overly quick payoff. 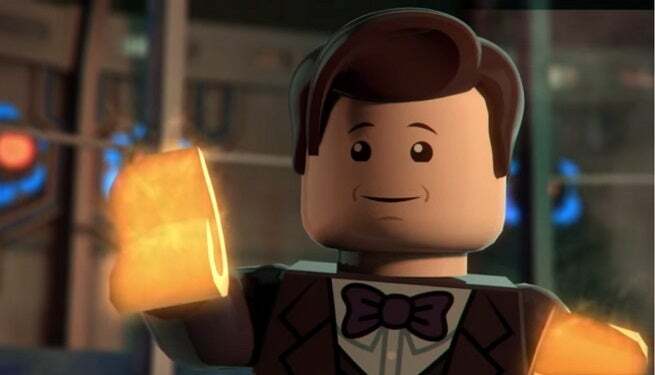 So when a youtuber named BlobVanDam recreated the final days of the 11th Doctor in Lego form, fans found themselves glued to their screens, watching a silent recreation of the last days of the bow-tie loving Time Lord. To put into comparison, check out the original scene below. Why Lego Capaldi whips out a chicken leg is an odd choice to have for replacing him talking about his kidneys, but hey, if a confusing chicken leg is the only downside, I'd call this video a hit. You can pre-order Season 8 of Doctor Who on Amazon, and Peter Capaldi is not one to miss.